Excitement on the ward today included meeting twin ten-year old sisters, only one of whom has a cleft. 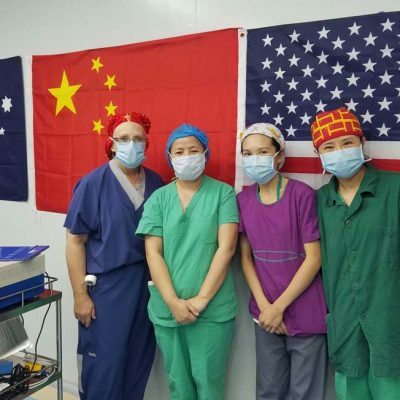 Pictured above with the family, left to right are Mission Director Mary Liu, OR Nurse Yipi Yang, and Lead Nurse Kathy Cox. 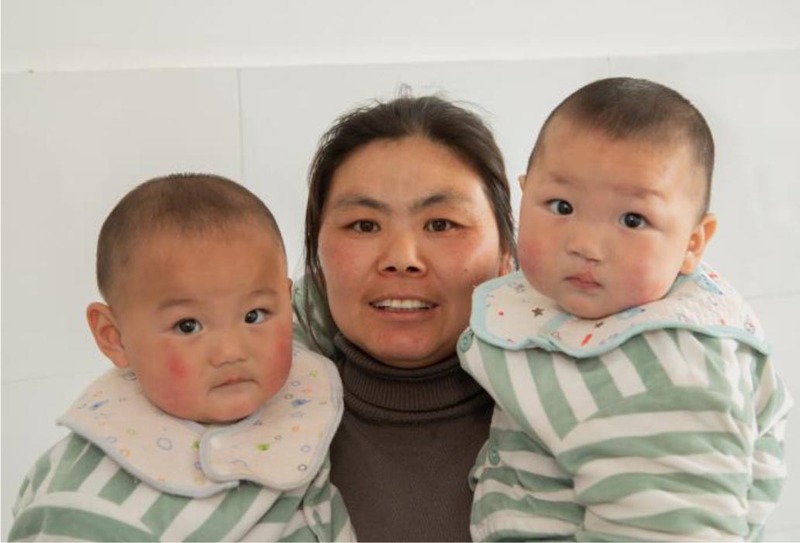 And, to the right is another set of twins, in this case one-month old boys, where again only one of the twins has a cleft. 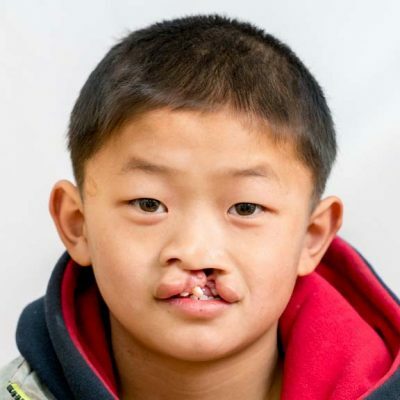 Little Li Yang will receive his palate repair on Tuesday. Today’s surgeries numbered six in total, three for each surgical team. 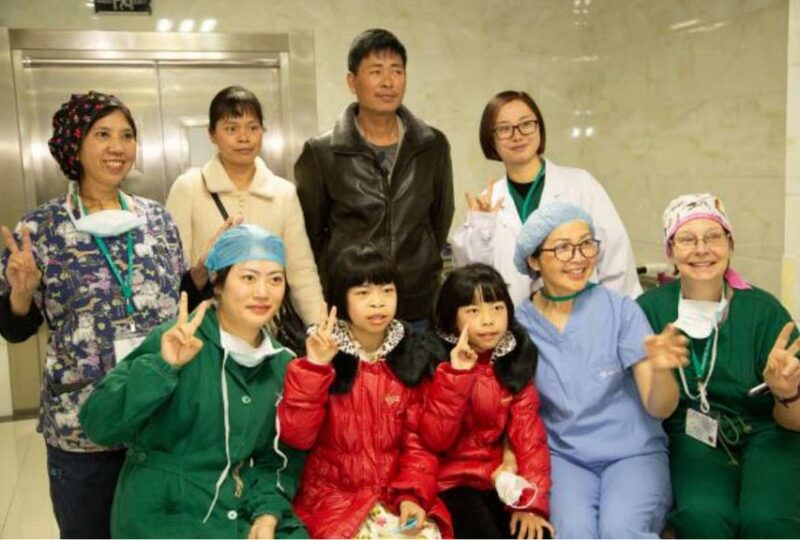 Each AFS surgical team includes a craniofacial plastic surgeon, an anesthesiologist, one OR nurse, and one lead nurse floating between the two surgical theaters. 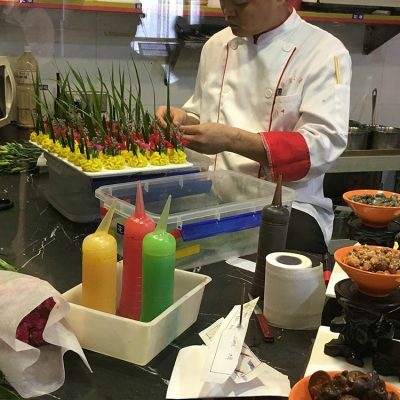 Additionally, local medical staff includes one surgeon assisting each of our primary surgeons, an anesthesiologist, one surgical nurse, one or more OR nurses, and a translator.